As immigrants fall to the fury of fearmongers, could it be Paddington the bear (a household name for families who cherish children’s books) who reawakens the heart of England to compassion, cooperation, and community? As if designed to shame isolationists, Paddington 2 sends its hero (a soft-spoken immigrant himself) stumbling into a case of mistaken identity, where he’s blamed for a crime he didn’t commit. The story sparks when Paddington, saving money to buy a beautiful popup book of London for his beloved Aunt Lucy, reveals the existence of this hardbound treasure to a fortune hunter who believes that the book contains a treasure map. And so begins a tug of war over a vision of London—one that leads to a robbery, a wild nighttime pursuit through London streets, and the incarceration of the city’s finest CGI citizen. Do you remember the Brown family—Mr. 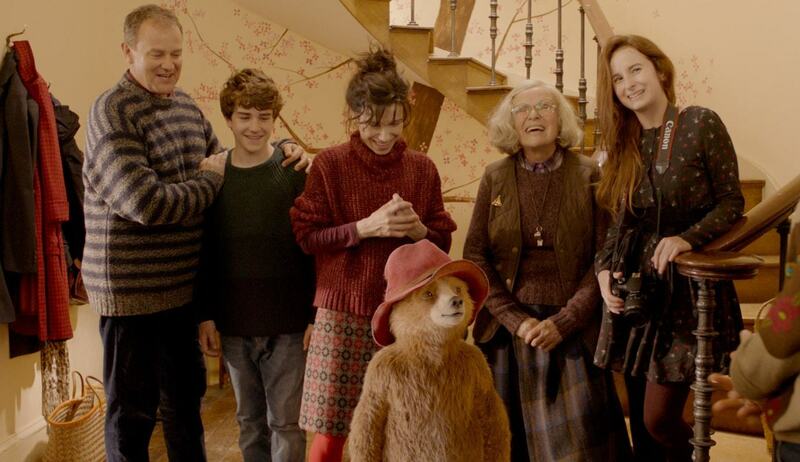 Henry (Hugh Bonneville), Mrs. Mary (Sally Hawkins), Young Jonathan, and Young Madeleine—who adopted Paddington in the first film? 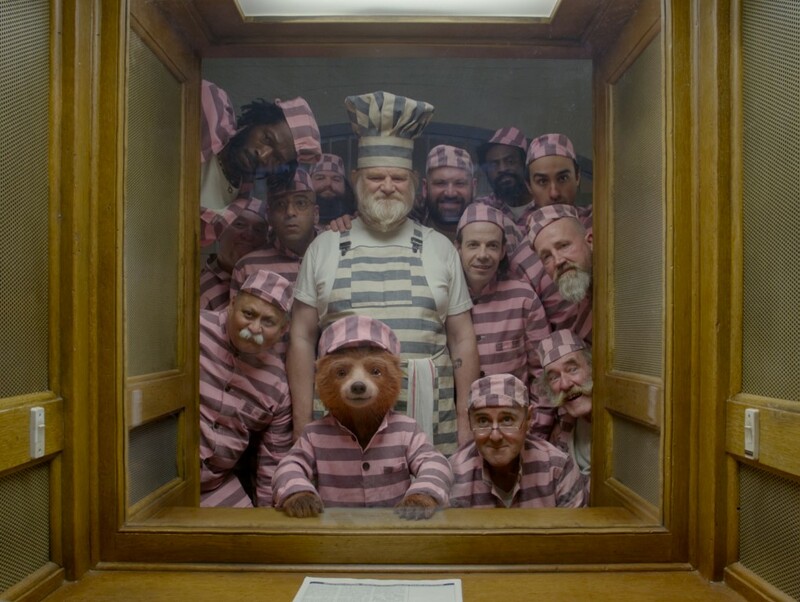 You can imagine how distraught they are, with Paddington thrown in the paddy wagon. It doesn’t help that the judge ruling on Paddington’s case happens to have a terrible haircut: the fault of Paddington himself, who, it turns out, isn’t cut out to be a barber. Making matters even worse, Paddington’s conviction throws fuel on the fire of the Browns’ racist neighborhood watchman (wild-eyed Peter Capaldi), who capitalizes on the moment to preach paranoia and prejudice. Sound serious? Don’t worry. Paddington 2 recaptures the subtle charms of director Paul King’s original, and succeeds brilliantly as a film that’s as richly rewarding for adults as it is for kids. While bombing at the U.S. box office, it currently stands as the best-reviewed film in the history of Rotten Tomatoes. What gives? Scott Renshaw of the City Weeklyhas it just right: This is “exactly the kind of movie parents always claim they want for their children, but too rarely support with their dollars.” Support this film! Appointing themselves as investigators, the Browns hunt the real criminal, a disguise-happy crook, with the clever use of every detective’s most essential tools: a bulletin board, push pins, and lots of yarn to connect the clues. Meanwhile, Paddington—locked up with lawbreakers on charges of “grand theft and grievous barberly harm”—stumbles through big-house dangers with only his gentle naiveté and Aunt Lucy’s marmalade recipe to save him. His prison bears a suspiciously symmetrical resemblance to the one in Wes Anderson’s The Grand Budapest Hotel, and is packed with a similar number of celebrities. Most dangerous of all is the prisoners’ chef: a gruff giant called “Nuckles” (Brendan Gleeson at his best). This bearded brute strikes fear into the hearts (and rolling pins into the heads) of his fellow prisoners. Nevertheless, Paddington is a peacemaker. Spreading his sweet and sticky influence, he can soften the hearts of the most hardened criminals. I haven’t talked about Phoenix Buchanan yet—the thieving thespian who should have gone to prison in Paddington’s place, but instead seems to be slipping into a sort of schizophrenia. Scheming in the company of costumes from his past as a star in the West End, he’ll do anything to escape his late-career humiliation as a dog food spokesperson and buy his way back into the spotlight. Grant and Gleeson are the highlights in a film full of famous faces giving their all to celebrate a picture of a multicultural London. It’s an award-worthy ensemble, right down to the diminutive bear, gently voiced by Ben Whishaw. Stumbling through references to Charlie Chaplain and Buster Keaton, the bear’s soft answers turn away wrath, his soft fur proves an advantage for a window washer, and his soft heart is big enough to persuade all of England that immigrants bring them more hope than hardship. Few CGI characters have interacted with humans so seamlessly. If it sounds a bit busy, it is. Paddington 2 has so much story going on that it overlooks one of the narrative’s most important results. 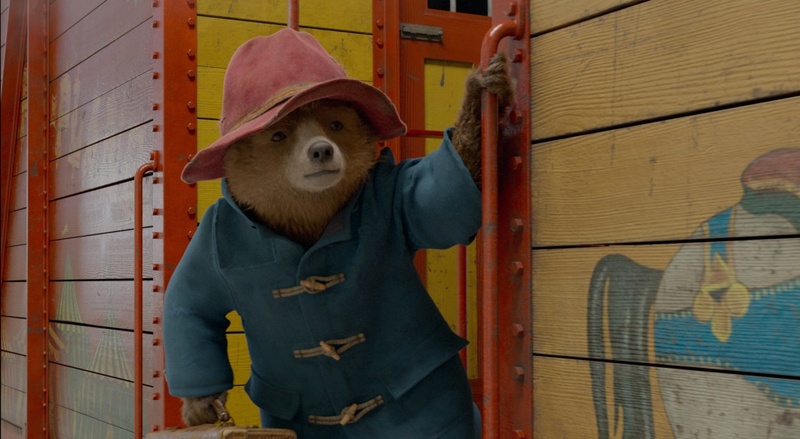 Note that Paddington’s chief desire is to bring his Aunt Lucy to London so that she can see the place for herself, and the movie’s most enchanting sequence occurs when Paddington opens his big London popup book and then walks right in. And what makes the dream possible? An art that Aunt Lucy passed on to him—a creative craft he can offer almost anywhere to bless anyone he encounters. And if I might make one more slight gripe about this critical favorite: When the film, which has been beautifully engaging in unexpected ways throughout its first ninety minutes, suddenly plunges into a prolonged action sequence involving passengers on parallel trains, I can feel the Pixar template intruding. Audiences expect a frenzied finale. Here, that feels a Brit out of character. But don’t let that stop you from chasing down this most magnificent marmalade sandwich before it’s deported from theaters: It’s soft, its sweet, and it’ll stick with you. Take your BBC-loving friends, because few movies have featured more celebrity cameos since 1979’s The Muppet Movie. 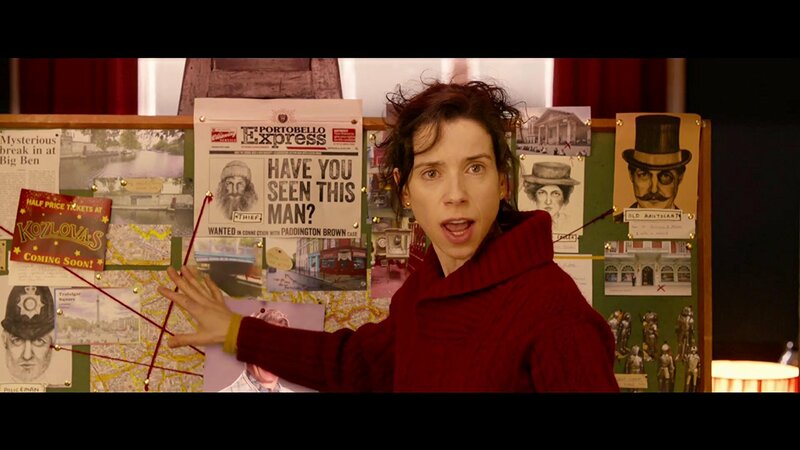 Paddington 2 is a Who’s Who of British talent, featuring Joanna Lumley, Noah Taylor, Eileen Atkins, Jessica “Spaced” Hynes, Claire “The Trip to Spain” Keelan, Richard “The IT Crowd” Ayoade, and Simon Farnaby (Garfunkel on The Detectorists). It’s unlikely that a bear can beat Brexit. But it is likely that this film will become, like The Muppet Movie, an enduring favorite for the lovers, the dreamers… and me. whose donations keep this website alive against all odds. ticket, or as much as you wish.